Bible In One Year 2018 - With over 2 million users worldwide since 2009, Bible in One Year is the leading daily Bible reading plan. Each day, you will receive a Psalm or Proverbs reading, a New Testament reading, and an Old Testament reading. Nicky and Pippa Gumbel then provide insightful commentary, intended to be read or listened to alongside the Bible to provide fresh understanding of the texts. Nicky is the vicar of HTB Church in London and pioneer of Alpha. 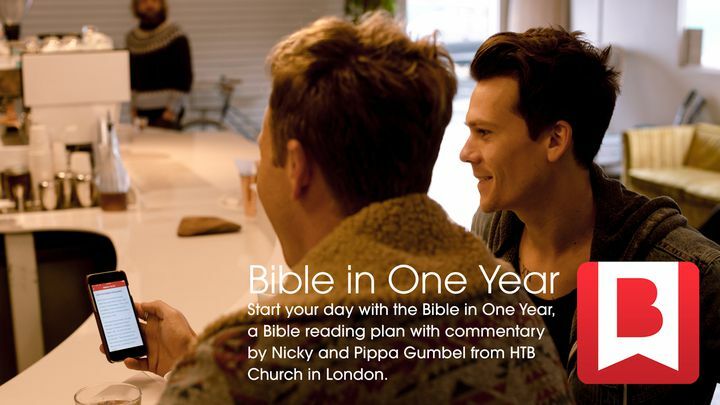 With over 2 million users worldwide since 2009, Bible in One Year is the leading daily Bible reading plan. Each day, you will receive a Psalm or Proverbs reading, a New Testament reading, and an Old Testament reading. Nicky and Pippa Gumbel then provide insightful commentary, intended to be read or listened to alongside the Bible to provide fresh understanding of the texts. Nicky is the vicar of HTB Church in London and pioneer of Alpha.